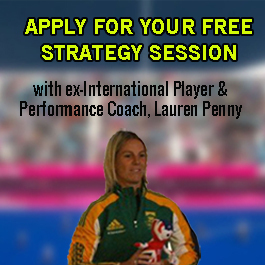 Want to score more goals in field hockey? I am sure you have played a game when your team were dominating but you just couldn’t seem to score and you landed up losing or drawing the game which is just so frustrating because your team needs to score goals to win games. Like most strikers, I myself have missed open goals and chances and I have also had times when scoring goals just doesn’t come easy. But these tips should help you to stand up, get noticed and be the goal scoring hero, regardless of whether you are a striker, midfielder or defender, remember anyone can score a goal. If you want to score goals then it is vital to be composed in front of goal. If you panic or worry about missing the goal, guess what – that’s exactly what you will do. Don’t focus too much on scoring, instead focus on the technical aspect of what you need to do to get it on target. For example instead of thinking about the ball bouncing off your stick at far post and letting your team down, think about staying low to the ground or focus on watching the ball onto your stick. A large part of goal scoring is mindset – i.e. being confident and believing that you are going to score. You have to be brave and be prepared to get stuck in. Get in the oppositions face and don’t be afraid to dive and put your body on the line. Goalies can be pretty tough so you got to be confident mentally that you are going to score. If you have doubts about scoring then chances are you probably won’t score. If you can score in training and not in games, the only difference is your mindset. When trying to score a goal you should try to be unpredictable. Don’t just do the obvious thing, rather change your angle, try take a quick shot with a short backswing or use your body to add deception, like dropping your shoulder to fake a move or disguise a pass to get the goalie to change their angle or shift their balance. Remember you can move quicker than a goalkeeper who has extra equipment so instead of winding up and trying to smack the ball through their pads, just get them moving and run around them, but make sure you use some deception first. Your shots don’t have to always be hard, sometimes all you need is a bit of deception. When it comes to scoring goals, it doesn’t really matter how you score. Sure, it’s looks amazing to score by hitting the roof of the net with a technically perfect shot but in a game you probably won’t get many chances have a perfect shot at goal. The key is try get as many attempts at goal as possible and go into the game with the mindset of testing the keeper, forcing them to make a ton of saves. I am sure you have witnessed bobbly balls or mis-hits which result in goals or maybe you had a great deflection goal which you didn’t know much about. Don’t expect to always have perfect shots, the goal is pretty big so look for the space and just keep testing the goalkeeper and wait for them to make a mistake. If a team mate takes a shot at goal, don’t back away or watch in admiration. Instead think about getting into goal scoring positions. What are goal scoring positions? Pretty much anywhere in the D to be honest, it could be P spot, top D, far post, etc. It is important to get your body in position, stay low and be ready for any passes or rebounds. Make sure you practice shooting off both feet and from different positions in the D.
If you are scoring in training sessions but not in games, the only difference is what is happening in your mind. 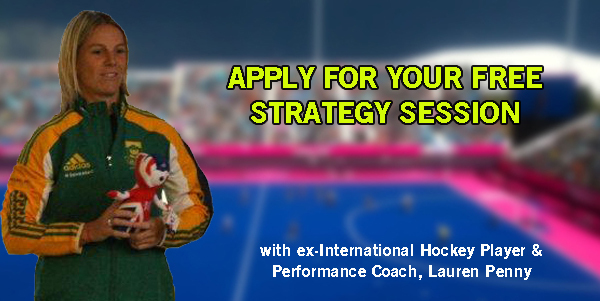 If you worry more about what might go wrong or if you often think about messing up, then some personalised coaching could be just the solution to help you score more goals and play your best hockey more consistently. 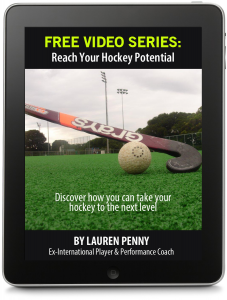 Isn’t It Time To Take Your Hockey To The Next Level?